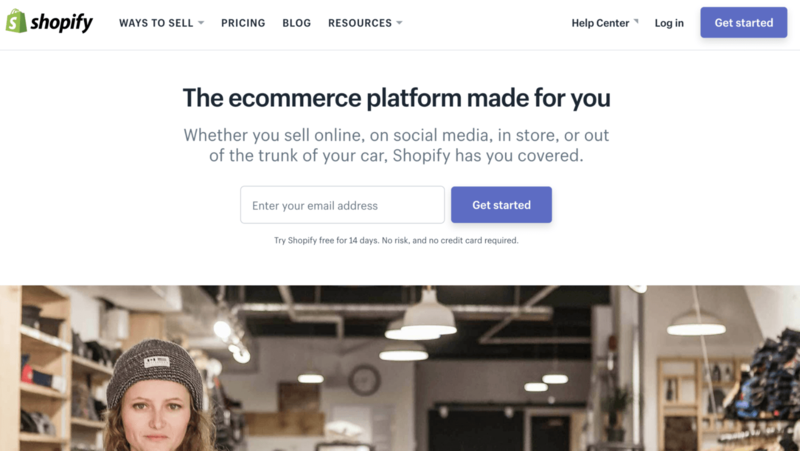 Shopify Vs. WooCommerce: Which Should You Choose in 2019? WooCommerce vs. Shopify: which should you choose for your ecommerce business? Both platforms are outstanding ecommerce options that offer similar options. Your choice will depend on what you want out of your ecommerce site. Shopify is fantastic for those new to ecommerce or those who want a turnkey solution. WooCommerce is perfect for those who want full control over their ecommerce store and also want the power of WordPress. But let’s go a little deeper. Unlike in years past when you had to hire a developer to build an ecommerce store for you, there are now a number of services that allow you to build an ecommerce store with little to no knowledge of coding. When it comes to building your ecommerce store, there are two that really stand heads and tails above the rest: Shopify and WooCommerce. But which should you choose? If you read the reviews, both seem pretty good. How can you know which is right for you? That’s where we come in. We’re going to break down everything you need to know about Shopify and WooCommerce, as well as give you some recommendations. By the end, you’ll be ready to start building your own ecommerce store. First things first: what is Shopify? Essentially, it’s an online tool that enables you to build an ecommerce store without doing any coding. You don’t need to hire a developer, and if you get stuck on any of the steps, Shopify will guide you by the hand. With Shopify you can sell all sorts of products, including physical items, digital downloads, drop shipped products, and even services. If you have a brick-and-mortar store, you can integrate it with your Shopify store thanks to their Point-Of-Sale devices. If you’re new to ecommerce or simply want a simple, turnkey solution, Shopify is certainly a solid option. It allows you to get up and running really quickly. In order to understand WooCommerce, you need to understand WordPress. WordPress is a massively popular, open-source website building platform. It’s so popular that it’s estimated that WordPress runs 28.9% of the internet, including some of the biggest sites out there. You can be sure that if more than Â¼ of the internet uses WordPress, it’s got some things going for it. However, WordPress wasn’t built specifically with ecommerce in mind. Rather, it’s designed to be an all-in-one solution for building websites and sharing content. However, that doesn’t mean that you can’t or shouldn’t use WordPress for ecommerce. That’s where WooCommerce comes in. WooCommerce is a WordPress plugin that adds a host of ecommerce features to any WordPress site, including things like a shopping cart, product pages, inventory management, etc. Both WordPress and WooCommerce are free. Yes, you will need to spend a bit of money on things like WordPress hosting, but you have those expenses anyway if you have a WordPress site. Now that you know a little bit about both services, let’s explore Shopify to give you a good feel for the service. If your site doesn’t look good, people won’t want to buy from you. Your site can’t look like it was designed during the Geocities era or by someone who really loved MySpace. It needs to look professional, clean, and be easy to navigate. Without these elements, you can be pretty sure you won’t succeed in ecommerce. Shopify offers more than 50 different, professionally designed store themes. Ten of these themes are free, with the rest usually costing between $140-$200. The themes are professionally designed and allow you to easily customize the look and feel of your shop. Shopify outsources all theme design to professional developers who ensure that the themes stay appropriately updated. This is both an advantage and disadvantage. The advantage is that the theme always stays fresh, but the disadvantage is that they can cost quite a bit. Shopify makes it pretty simple to change most of the design options on your site, like colors and styles. You can also easily update your site with new items and even change your theme completely. If you’re preparing for a new product launch, you can edit sections of your store without taking it offline. If you’re an advanced developer, you can use Shopify’s specialized ‘Liquid’ language to make more significant changes. This isn’t necessary; only if you want to really go deep into your site. Shopify is a Software As A Service (SaaS), and because everything comes bundled together, they offer several pricing tiers. The tier you sign up under determines which options are available to you. Depending on what you need, this can be a pro or con. 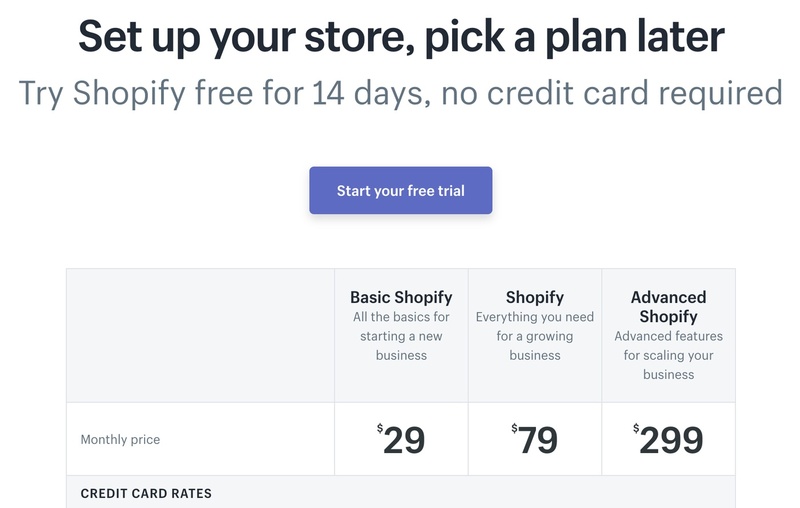 You really do get everything you need right out of the box, but you’re locked into Shopify’s pricing tiers, which can be restrictive depending on your needs. Advanced Shopify ($299 per month). On top of these monthly fees, you will also pay transaction fees every time you sell something. Shopify takes a cut of every transaction, and if you’re using a payment gateway like PayPal or Stripe, there will be additional transaction fees from them. Because transaction fees vary and change depending on the payment gateway you choose, you’ll want to look into all the details to determine how you want to handle that aspect. Again, Shopify’s goal is to be a turnkey product that allow you to quickly and easily build an ecommerce store. Including all these features ensures that you have everything you need to build your store. One of Shopify’s greatest strengths is ease of use. It’s intentionally designed to make things quick and easy. All you need to do to get started is go to Shopify.com, go through the signup wizard process, and you’re done. After that, you can take your store live and begin selling. It’s really that simple. 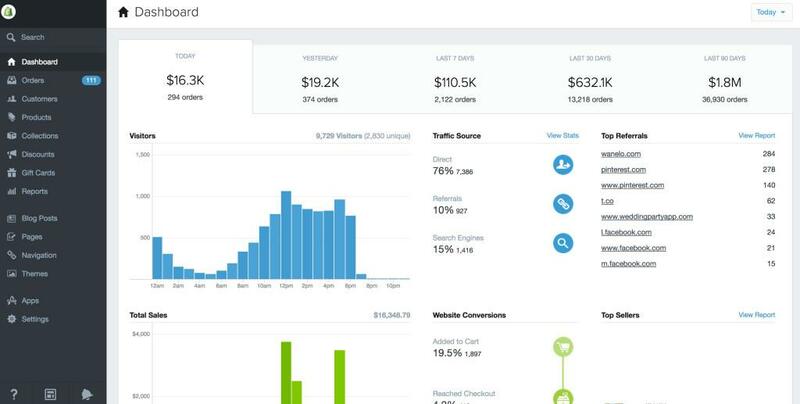 The Shopify dashboard makes it easy to get a feel for your store performance, as well as any issues you need to be aware of. It’s also easy to adjust settings like shipping, taxes, handling new orders, giving refunds, and more. For example, when you’re adding a product to your Shopify store, every option is available on a single panel so you don’t have to visit multiple spots on your dashboard when adding new products. This means you don’t have to hunt in multiple places for all the things that need to be included (description, specs, shipping, etc.) when you bring new products to market. If technology is intimidating to you, Shopify does everything they can to make things easy. Because Shopify wants to be an all-in-one solution, they make great efforts to offer first class customer care. You can reach a customer care specialist at any time, 24/7 via phone, email, or live chat. They also has an extensive knowledge base that contains solutions to many of the most common problems. If you’re worried about getting stuck or running into a problem, Shopify wants to set your mind at ease. Basic SEO practices like meta data and site copy are no problem with Shopify. Assuming you’re adding in sufficient descriptions for products, home page copy, and other SEO-related items, you should be fine. And when it comes to design, Shopify themes have a reputation for clean code and natural linking structures, both of which are important for search rankings. Because Shopify stores are hosted on their massive infrastructure, pages load fast, which is another important element for SEO. The only downside is that if you want to add a blog, it needs to be hosted on a third-party like WordPress. Now that you have a solid feel for Shopify, let’s explore WooCommerce. WooCommerce offers the same functions as Shopify with one key advantage: control. Because Shopify stores are built on the Shopify platform, you are limited in what you can do. You’re limited to their themes and their selling options. With WooCommerce, on the other hand, your options are almost unlimited because you’re building on the WordPress platform, which has thousands of themes and plugins, all of which can enhance your store. With Shopify, you don’t own your site. You get your own URL, and you’re spared the fee of hosting, but you’re restricted only to what Shopify allows you to do. This straightforward approach works well for eCommerce beginners (and lazy entrepreneurs), but not for those that prefer a hands-on approach. By contrast, WordPress and its WooCommerce plugin are tools to facilitate building your own site. You have much more options, vast libraries of plugins to customize your site, and more control in general — especially when it comes to site design, which we’ll discuss below. Think of it like this: You’re building a house and you have to choose between two construction crews. One lets you design the plans however you want, but the other comes with a rigid architect who tells you what you can and can’t do. WooCommerce has been designed to work with the majority of the WordPress themes, which means that your design options are essentially endless. If you already have a WordPress site and a theme you like, WooCommerce can work with it. If you’re just getting started, you can pick a theme you really love and use WooCommerce to add ecommerce functionality. 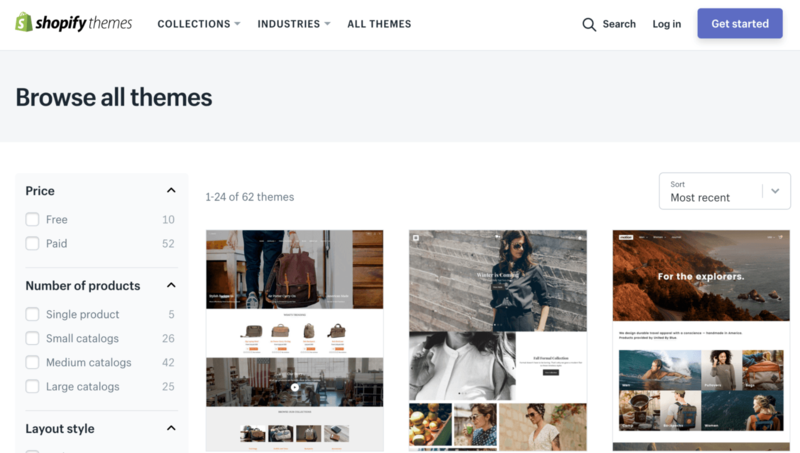 There are themes that have been built specifically for WooCommerce, so if you’re having trouble selecting a theme, these are always a solid option. The Storefront Theme is the official WooCommerce theme and is a fine choice for your ecommerce store. While Shopify has an impressive range of themes, WooCommerce can be incorporated into any WordPress theme, in addition to its own library. That gives it far more variety, not just in template design, but in site features. Think about it. With WooCommerce, you can integrate any WordPress plugin into your eCommerce site. This creates a nearly infinite selection of possibilities. Of course, this means you have to put more time into designing your site, and not all plugins are free. Most of the Shopify themes are well designed, and if you have no desire to mess with design, then Shopify might be a better option. Both WooCommerce and WordPress are free. However, you will need to purchase a few things like web hosting, a domain name, a theme (if you choose a premium one), and any premium plugins you might use. Additionally, you’ll need to factor in the transaction fees from your payment gateway. Thankfully, these will only come into effect when you make a sale. When it comes to price, WooCommerce is at least initially, the cheaper alternative. However, if you start purchasing premium themes and plugins, your costs will go up. Depending on the Shopify plan, you could end up paying about the same amount. WooCommerce can do anything that Shopify can do, and then some. While it doesn’t necessarily have all the features Shopify has right out of the box, you can be sure that someone has developed a plugin for whatever feature you need. Whether you want to sell on Facebook, implement email marketing, or study your customers behavior, WooCommerce can do it. This again highlights the key differences between Shopify and WooCommerce. Shopify is very strong because it gives you everything you need right out of the box, and for some people that’s the perfect option. However, you’re also limited in the fact that you can’t get any more than what Shopify provides. If you want total flexibility in terms of plugins, then WooCommerce will be a better choice. It’s sort of like the difference between hiring a tour guide to take you around a city versus exploring the city on your own. If you have no idea what to do or where to go, a tour guide can be helpful. However, if you’re you really want to get to know a city, you won’t hire a guide. Rather, you’ll explore yourself. Once you get through the initial steps of setting up a WordPress site, working with WooCommerce is just as easy as working with Shopify. The initial setup isn’t difficult, but it does take a bit longer and involve a few small technical details. If you’re uncomfortable when it comes to technology, you could have trouble at this step, but it’s really not difficult. Install any additional plugins needed. If this intimidates you, there are hosting companies that specialize in WordPress that will take care of everything for you. Some companies even have 1-click WordPress and WooCommerce installation options, meaning you can get your store up and running with minimal technical work. 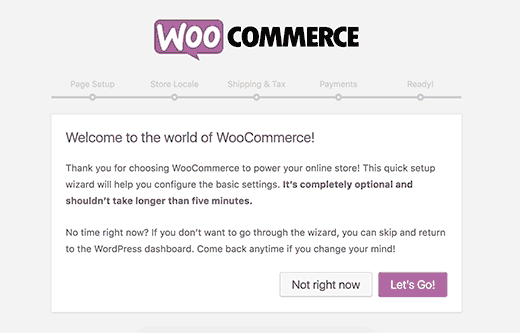 Once your site and WooCommerce are up and running, you’ll be taken through a setup wizard. It will help you set up things like currency settings, shipping options, payment gateways, and more. And like Shopify, WooCommerce makes it very easy to add new products. It usually can be done with a few clicks, meaning you don’t have to spend hours trying to get new products into your ecommerce store. One downside of WooCommerce is that, unlike Shopify, WooCommerce doesn’t have a central customer support staff. However, this doesn’t mean you can’t find solutions to your problems. Because WooCommerce is a WordPress plugin, you can get support on their forums or by creating a free account at WooCommerce.com. Additionally, Because WordPress and WooCommerce are open source, the developers who create the themes and plugins are available for support if you run into any issues. This is one way that WooCommerce significantly outperforms Shopify. Hands down, WordPress is the best platform for blogging, which gives it a significant advantage for SEO. In fact, it’s not uncommon for Shopify sites to host their blogs externally on WordPress. Using a WooCommerce site on WordPress means consolidating these two crucial segments of the same brand. WordPress’s blogging capabilities encapsulate both a comprehensive CMS for content management and specific SEO concerns like meta data. Again, good SEO requires effort, but with WooCommerce on WordPress, the option is there for those that don’t mind the legwork. If you write outstanding blog content for the right keywords, you have a good shot at showing up on the first page of Google for particular searches, which can drive a massive amount of ecommerce sales. So Which Should You Choose? Ultimately, the choice between Shopify and WordPress comes down to what you want out of your ecommerce store. Shopify distinguishes itself by being a really simple ecommerce solution for everyone. Anybody with the most basic computer and internet skills can create a Shopify store relatively quickly. It’s a simple, powerful turnkey solution that works right away. If the primary thing you’re after is simplicity and ease of use, Shopify can provide that. The setup is quick and easy and have a single dashboard that presents you with all the information. If you don’t have a website and you want to get an ecommerce store up and running as fast as possible with minimal effort. If you don’t mind paying a fee for all the features, even if you might not need them all. If you don’t care about the technological side of your ecommerce platform and just want it to work well and look good. If you are uncomfortable working setting up WordPress and don’t want to pay anybody to setup your store for you. If you want a turnkey approach where all you need to do is sign up and follow a few simple instructions. If you think you’ll depend heavily on customer support. WooCommerce takes advantage of the hugely popular and powerful WordPress platform. Because of this, you get access to thousands of themes and plugins that can really make your ecommerce store shine. If you want full control of your eCommerce store. If you to enhance your store with thousands of site designs and plugins. If you can handle the technical work required upfront to get your site up and running. If you’re one of those people who likes to do everything on their own. If you have a smaller budget. If you already have a WordPress site and want to build your store on top of it. If you already have a WordPress site and don’t want to add the additional cost of Shopify. If you can survive without 24/7 customer support. Honestly, WooCommerce and Shopify are both outstanding options when it comes to building your ecommerce store. Whichever you choose, the end result will still be a functional ecommerce store that can make you some serious money. The world needs another Amazon. Go create one. This post belongs to our WooCommerce Guide content hub with other posts, pages, and case studies. Explore our WooCommerce Guide content hub. Stephen is an author, father of three and a marketing professional. Matt, I agree with much of what you have written in this post. What I have found though is that the Shopify support is much quicker than WooCommerce. My need for support dates back to 2015, so maybe WooCommerce support has improved. Hi John, thanks for reading. You’re right, Shopify is more involved with customer service, fitting into the idea that Shopify is for beginners and those putting in minimal effort to site design. WooCommerce does offer support if you register at their main site, but most users prefer to search the forums for answers. As an open-source plugin, WooCommerce allows users to go in an change the code themselves. There are plenty of channels to find solutions to whatever problems arise. But, yeah, you have to put the effort into finding those answers. Again, WooCommerce is about more investment for better, more customized results. Why did I choose Woocommerce for my Branded Products? COMPLETE OWNERSHIP. Now my business is going strong, and I have full control of my website. Smart choice, Hanna. WooCommerce gives more options for customization, which means more options for branding. I have used both Shopify & WordPress ( but not Woo Commerce). I remember WordPress involving more of my time with numerous updates. As for Shopify I owned my own domain so not sure what you meant about that. The only real issue I saw with Shopify is 2% transaction fee they charge you if you dont use their shopify payment gateway. Like I said, Shopify is a fine platform, so it’s more a matter of personal preference and business goals. If you get easily frustrated with WordPress management like updates, you made the right choice with Shopify. My issue with Shopify is there’s a roof on it when your company grows to a certain point. To me, it’s like how a goldfish grows only as big as its bowl allows. The biggest difference between Shopify and WooCommerce lies in the number of design options available. Shopify offers a lot of excellent themes, but WooCommerce, along with its own library, can be integrated in any WordPress theme. True, Shopify has a lot of good-looking themes, but it just can’t compete with WooCommerce’s numbers. Hey Matt, love this breakdown of the pros/cons of Shopify vs. WooCommerce! I prefer WooCommerce myself because most clients are already (somewhat?) 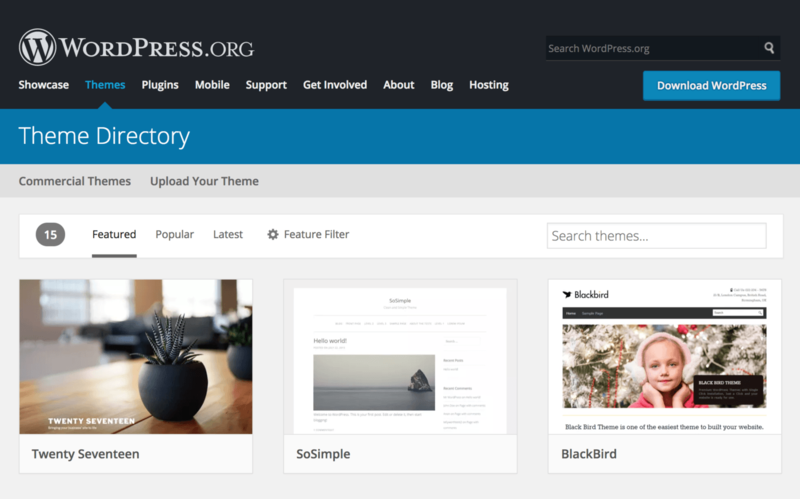 familiar with WordPress’s admin, so even newbies get a lot of customization power without too much of a learning curve. Hi Dima, glad this article helped. I can’t speak for anyone else, but your recommendation engine guessed the right choice for me, so good work! Without splitting hairs, both platforms offer sufficient security. Shopify comes with a free SSL certificate, whereas with WooCommerce you have to install one from a third party (like Let’s Encrypt) — but you can find these for free, so it’s not really a big difference. I agree with most of this however the one major downside of woocommerce is the lack of performance on large Ecommerce sites! The hosting and effort required quickly becomes a barrier and constant downtime becomes a reality! Switching to Shopify was both a major downgrade, but at the same time has kept my site online. Shopify can – at anytime – shut down your store for any reason at any time. Dont believe me? read the terms. Also if you add any third party app, you cant control when shopify update the platform – meaning you can loose your data or break your site when shopify upgrade their framework. If another company takes over shopify (this happens all the time) you can literally risk the many thousands of hours you have spent on labor creating your store – You also dont have control on the rates (2% PLUS whatever the ext gateway charges – say 2.9% = 5% per sale) . These rates can change at any time. Give me open source anyday. I really enjoyed reading your article. I believe, it really comes down to technical skills. If you are a newbie and just want to start your store the quickest and easiest way, Shopify is your option. WooCommerce gives you more freedom and options to play with your design and everything if you are up for the challenge. With more than 38 million downloads WooCommerce currently empowers more than 28% of all the online stores worldwide. And the official Shopify website claims there are over live 500,000 stores on Shopify. Both platform is great based on your personal requirements. I have also written this article https://goo.gl/tE5vm2 on the same topic where I have given a comparison table. Hope you will like it. Thanks, Matt. I’ve got two different proposals in front of me – one proposing a Shopify solution and the other WooCommerce. This was really helpful for me. It’s WooCommerce for the win. I’m looking for an all-in-one solution to be my website, publish social media content, but also sell my online video courses. For the sake of simplicity, I want it all in one place. I also use ClickFunnels and I’ve been trying to work out a solution involving that for the video courses, but since then, I’ve discovered the term LMS (Learning Management System), and the fact that it exists for both Shopify and WordPress…lol. I found one article that had epically biased social proof towards WooCommerce; however, I think ultimately, it has come down to price, haha. My web hosting is around $13/mth. That includes WordPress and WooCommerce. Shopify, on the other hand, will be $30/mth. It doesn’t seem like much, but when you’re starting out, it’s huge. I’m aiming to sell my eCourses for $47 USD each, so I can always switch, I guess, but also (as “woo-woo” as this sounds), I just “feel” like WordPress is the solution I’m looking for. Thanks again, man. Really appreciate you taking the time to write this post and help make the journey a little easier. iPhone (Shopify) is simple, easy to use and to the point. My mom/nieces can easily use it. Android (WooCommerce) is a bit more complex, but extremely customizable. It’s a bit overwhelming for most, but you can do nearly anything. Now for me, although I’m an iPhone guy, I chose the WooCommerce route simply because I wanted the best experience for the visitor, and that meant having full control of the design even if it takes countless hours/weeks of my time. When I build my store with Shopify, it was incredibly easy, and I had it up and running in an hour or two (but it didn’t look how I wanted it to). When I built it with WooCommerce, well it took me weeks to build it start to finish (but it looks exactly how I want). So I ended up going the WooCommerce route… more time consuming, difficult to setup, lots of frustrated hours, but in the end my store looks exactly how I visioned. The one thing every “this platform” VS “that platform” review is missing is what it’s like day to day for the end user to manage their online business. You should compare everyday tasks side by side. Consider answering questions like: What does it look like to add a product? Can I bulk import my initial catalog? How do I manage orders? What can I expect to get in reporting? This is where users will be spending most of their time, so I think this is something reviewers should consider covering. Instead, most reviews just cover the setup process and a basic list of features and pro and cons. Which one do you believe is best for more language ? Also you wrote that the SEO will be better on Woo Commerce. So I think I will go back and deal with the struggle because it might be a long term investment! I have website, just added woocommerce to wordpress. Seems like I have to enter products again in ‘shop’ even if I already do have products in several. pages. Doesn’t make sense to me to show the same products again under ‘shop’. is there anyway to connect ecommerct and exisiting product on pages? if not, I will have to creat all under ‘shop’ and delete other pages?